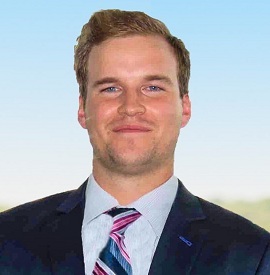 Connor joined BFJ Financial Group in 2018 as a Staff Financial Planner, working closely with the financial advisors to support their efforts delivering exemplary client experiences. In this role, Connor provides assistance with financial planning, investment research, and other client services. Connor graduated from the Robert H. Smith School of Business where he earned degrees in Accounting and Marketing. He began his education as a Rouse Scholar at Howard Community College. Prior to joining BFJ Financial Group, Connor worked for a global healthcare marketing firm. He loves to travel, try new foods, and always looks forward to the next adventure.